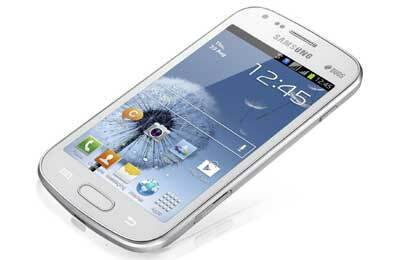 Samsung Electronics has introduced the Samsung Galaxy S Duos, an Android 4.0-powered dual SIM smartphone. The Galaxy S Duos offers all the style and high-end performance users expect from Galaxy smartphones as well as the convenience of dual SIM access, which allows users to manage two phone numbers from a single phone. The smartphone’s unique ‘Dual SIM Always on’ feature allows one to receive calls on one SIM number while taking a call from the other. The user can also have the flexibility of selecting different billing plans for either SIM, switching between them at convenience. The Galaxy S Duos features rounded edges and a smooth ceramic-like finish. Its 1GHz processor and 1500mAh battery allow for fast multi-tasking across the most demanding applications, while the 4GB of on-board storage provides ample space for images and videos. Its capabilities are boosted by the exciting new features of Android 4.0, which include stunning graphics and upgraded menu systems for easier browsing and navigation. The Galaxy S Duos’s four-inch display offers a comfortable viewing experience whether browsing online, reading emails or flicking through photos, and is perfect for watching video or enjoying images taken with the phone’s 5MP camera. The preloaded Samsung’s ChatON communication service, which connects all phone users into a single community, provides easy instant messaging, group chatting and content sharing in multiple formats—images, video, voice, contacts.